Located in the heart of the coral triangle, Indonesia has some of the greatest marine biodiversity in the world. 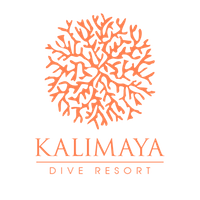 Kalimaya Dive Resort is perfectly situated on the doorstep of the Komodo National Park to provide next level diving all year round. With us you can enjoy three distinct types of diving: muck diving, current diving, and coral diving. The best part? You will most likely have these newly discovered dive sites all to yourself. 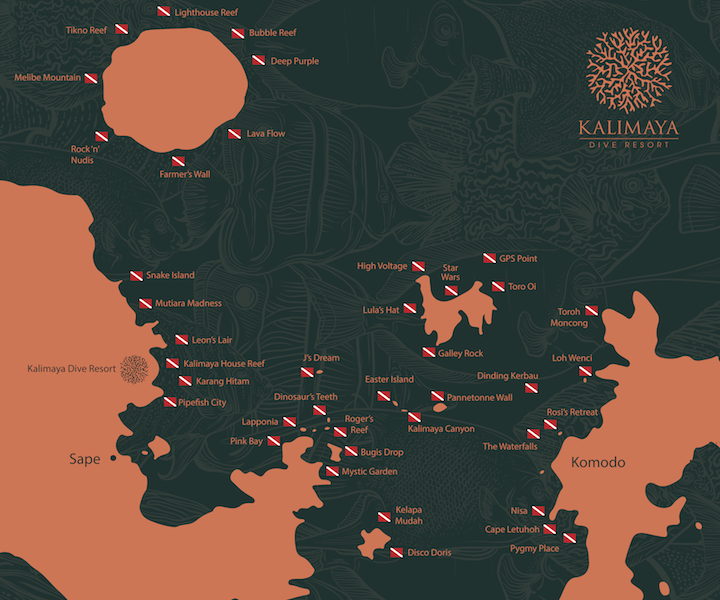 Kalimaya Dive Resort truly is one of the newest and best scuba diving destinations on our big blue planet! Macro/muck diving is a style of diving where we explore a reef environment to find the weird but wonderful life forms that inhabit these sandy reefs. One of the best scuba diving destinations in Sumbawa for muck/macro diving is actually our very own house reef. It has already provided the following: Bumblebee Shrimp, Paddleflap Rhinopia, Lacy Rhinopia, Candy Crabs, Starry Night Octopus, and Bobtail squid among others. Sangean Volcano provides a breeding ground for every nudibranch possible. We counted 35 species on our last visit! Wunderpus, Frogfish and so much more can be found. In addition to Kalimaya House Reef, we recommend; Lapponia, Pipefish City and any site located on Sangean Volcano. Komodo National Park and Gili Banta are two of the best scuba diving destinations for current diving. This style of diving includes drift dives, where we can explore a vast expanse of the reef while letting the current push us along. Also abundant are pinnacle dives where we stay in one spot to allow the currents to wash past us. These currents bringing in nutrients and big schools of fish. Nutrients give us the gift of bigger, pelagic creatures including but not limited to blacktip, whitetip and grey reef sharks. Oceanic and reef manta rays, mobula rays, eagle rays, are among our regular spots… Highlights include Galley Rock, Mexican Hat, Rollercoaster, Pannetonne Wall and The Waterfalls. Coral diving is a wonderfully relaxed way to explore the beautiful underwater gardens and coral reef habitats near Kalimaya Dive Resort. Here we take our time to explore sloping reefs, walls, pinnacles, and caverns to enjoy the flora and fauna of these underwater jungles. Think stag-horn corals where mandarin fish like to mate. Elephant ear coral where we have a chance to see bumblebee shrimps – even on our house reef. Get ready to be amazed by some of the healthiest corals in the world which beautiful reef fish and turtles call home. Kalimaya Canyon, Roger’s Reef, Easter Island and J’s Dream are particular sweet spots in this category.